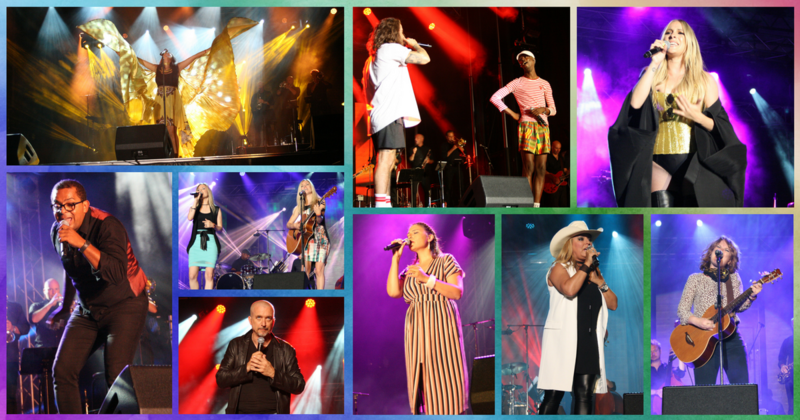 Gregory Charles, our favorite one-man-band-music-man, was the right person to sow together this quilt-like show that featured country artists (les Soeurs Barabé, Guylaine Tanguay), pop stars (Claude Bégin, Marie-Mai, Lynda Thalie), well established (Dan Bigras and Inuk phenomenon Elisapie Isaac). As expected, Gregory Charles seamlessly kept everything in line and demonstrated his talents through a series of well-assembled medleys. It was hard to find a dry eye when as he sang his “You are so beautiful-Hallelujah-and much more” medley. In the front rows: mostly young girls and teenagers coming to see Marie-Mai perform. She did a few songs but what the crowd will mostly remember is probably her Gaga-esque look and her time spent in the – thousands of people strong – crowd. But they sure seems to have appreciated Charles’ constant out-pour of energy. Lynda Thalie offered one of the most surprising performance with her lighted belly dance belt and her winged cape. A few great moments also. Étienne Drapeau’s Suavemente was very energetic. The bilingual rendition of I Will Survive by Mado and Sylvie Desgroseillers also acted as a good gulp of energy drink to boost the show. The nostalgic moment of the night goes to Nathalie Simard, who also performed a duet with Mado (Tourne la page, which she originally performed with her brother René) and a very intense Purple Rain. One thing is for sure: Mado will remain the Village’s Queen for as long as she will be! Long live the Queen! DJ Nina Flowers sure set the tone for the night with her great mixes. The crowd was dancing before the sun was even starting to set! And, n case you didn’t know that drag was an art… well now you do! Some of the most famous contestants of the popular reality TV show RuPaul’s Drag Race (including the last season’s – season 9 – winner, which I will not reveal for your own sake) were there and they made a big impression on the crowd. 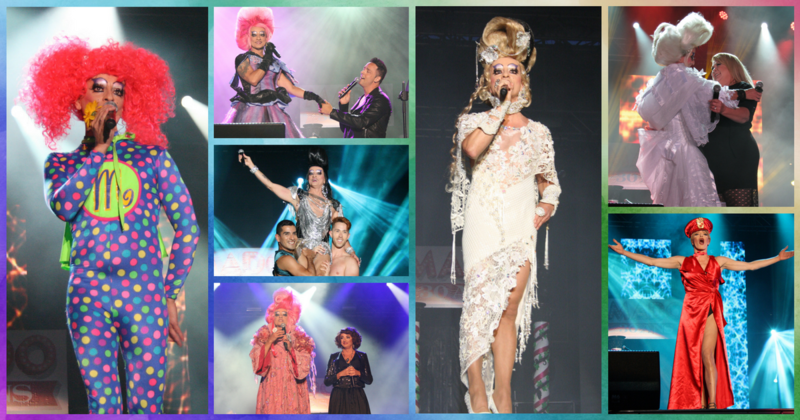 Hosted by Montreal’s well-known queens, Rita Baga and Barbada de Barbade, the show was non-stop entertainment. It would have benefited from shorter skits between the numbers though. 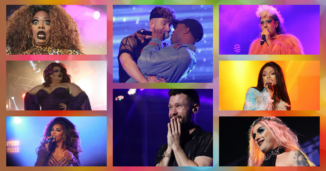 That was by far the most expected show of the Montreal Canada Pride. An estimated 15 000 people attended. Nothing less than a true success for a Thursday night! Find my best pictures of Drag Superstars right HERE! We are talking MARATHON show here. Hosted by Michel Dorion, another of the longest-running queens of Montreal’s Village, the show lasted… FOUR HOURS. Even if I can understand the scheduling challenges, this was too long of a show. (And it probably made it even more complicated to organize and manage!) 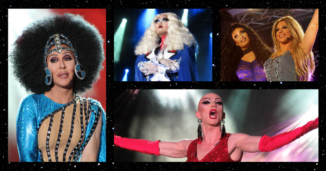 I do get the desire to showcase Montreal and the rest of Canada’s best drag queens – and kings! – but maybe the event would have benefited from being split in two…? Rainbow gave us an amazing burlesque, Martini-glass bathing performance which was one of the highlights of the night. Acid Betty, a previous contestant on RuPaul’s Drag Race also joined the cast of the night and offered a performance that we “donut” want to forget! An estimated 325 000 people showed up for the event which, for once, wasn’t doomed with its usual extreme weather. (In Montreal, Pride Parade day is usually incredibly hot. Or very cold. Or rainy.) Among guest of honors were Canadian Prime Minister Justin Trudeau, Ireland’s Taoiseach (Prime Minister) Leo Varadkar (and his husband), Montreal mayor Denis Coderre and Prime Minister of Québec Philippe Couillard. 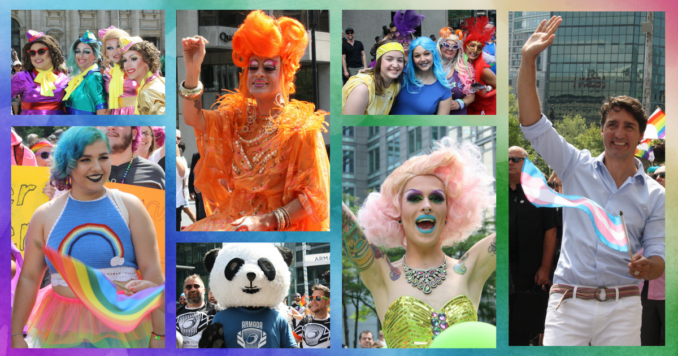 Spread over 3 km (approx 1.9 mile), many organizations and companies showed their support to the LGBT community. A beautiful demonstration meant for everyone and where all are welcome, no matter their gender, orientation or status. I feel the people who have started the first Pride Parade (which were closer to a demonstration back then) would be proud to see how this even is turning out, after 35 years. 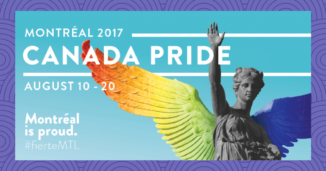 Canada Pride Montreal 2017: It’s On!